When you’re looking for hockey equipment for your next hockey league, FortyFour7Hockey has you covered. We have an extensive inventory of quality hockey equipment from brand name manufacturers. What piece of equipment do you need? From ice hockey equipment to inline gear, you’ll find the protective hockey gear that will enhance your game. To better yourself in the inline or ice hockey rink, you need the equipment that will stand the test of time and remain comfortable through the checks, ricochets, and shot blocks. With all of our products, you’ll have no trouble skating with the lightweight features and added protection. We all want a bargain. Whether we’re shopping for the highest quality helmet or hockey goalie equipment, we’re looking for the store or website with the best prices. FortyFour7Hockey provides you with the most competitive value. Whether something special for your kids or equipment for you, our online hockey shop gives you all the options. When you have the options with our great prices, shopping for your gear can be fun. Our goal is to make your online shopping experience as enjoyable as possible. Our store is consistently adding products to deliver you with new current equipment when you need it. As your gear wears down and it’s time for ice hockey skates or inline hockey skates and accessories, FortyFour7Hockey is your source as the best hockey supply store online. When you’re playing roller or inline hockey, we help you find the best and most comfortable equipment for you. Even if you need replacement parts for your skates or screws for your helmet, you can buy hockey accessories without leaving our website. With our inline equipment, you’re getting the whole package. A huge selection with weekly sales with all manufacturers, you’ll find the latest gear at FortyFour7Hockey, you’re trusted online supply store. All the inline equipment you find on our website is in-stock and ready to ship. The quality gives you an extra edge in the rink with added protection. We deliver what we promise, and your game will arrive at the next level with the new and upgraded gear. FortyFour7Hockey takes pride in providing the highest quality of equipment and accessory products. We are extremely knowledgeable of all inline and ice hockey products, and dedicated to our customer service to offer the best experience possible. 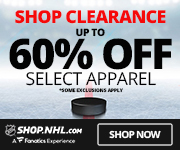 When looking for hockey website with exclusive products, we’re your place to shop online. If you have any questions or can’t find a brand or piece of gear that you’re looking for, get in touch with us. We’re available to assist your needs. Your gear will ship fast and arrive on time to ensure you have the latest equipment for your next practice or game. FortyFour7Hockey recently acquired HockeyLeagueJerseys.com. This acquisition was done in order to allow FortyFour7Hockey to provide high quality custom hockey jerseys any way you want it. Whether you want stitched, screen-print, or sublimated jerseys, FortyFour7Hockey can now provide them…and at an affordable cost. Our custom jerseys are all inclusive pricing! No hidden fees, No set-up fees, and FREE shipping. You can use HockeyLeagueJerseys.com online instant quote form and see exactly what outfitting your hockey team will cost. Give it a try here!